A large tree hightly valued as a shade tree for handsome form, dense foliage and lovely autumn color. Tolerant of wet conditions, but well adapted to more dry rocky sites. Acer saccharum (Sugar Maple, Rock maple) is a species native to the hardwood forests of northeastern North America, from Nova Scotia west to southern Ontario, and south to Georgia and Texas. 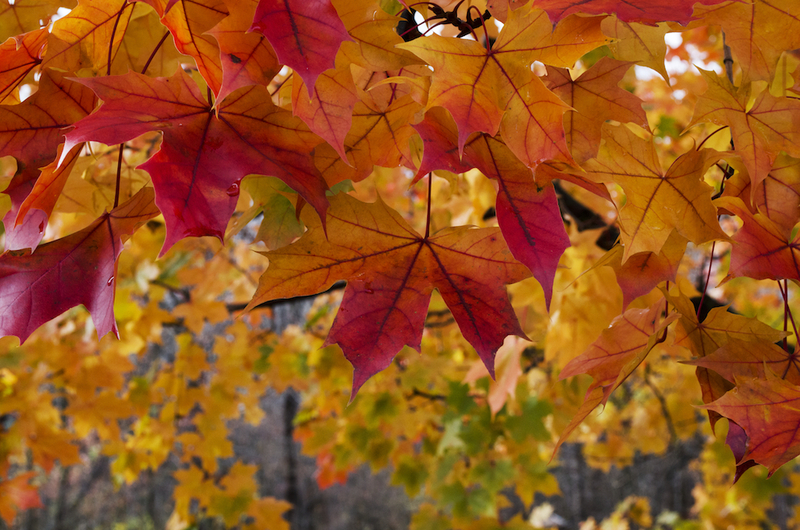 Sugar maple is best known for its bright, yet variable (from deep yellow gold to blazing orange) fall foliage and for being the primary source of maple syrup. The wood is honey colored and strong. Sugar maple is a deciduous tree normally reaching heights of 25–35 m (82–115 ft) tall, and exceptionally up to 45 m (148 ft). A 10-year-old tree is typically about 5 m (16 ft) tall.